The Raven is a symphonic tone poem in the guise of a Film Noir soundtrack. Given a suitably chiaroscuro treatment, its passages of dark mystery and menace are lit up by shards of dancing light and borne unsettlingly along by mounting, suspenseful drama. 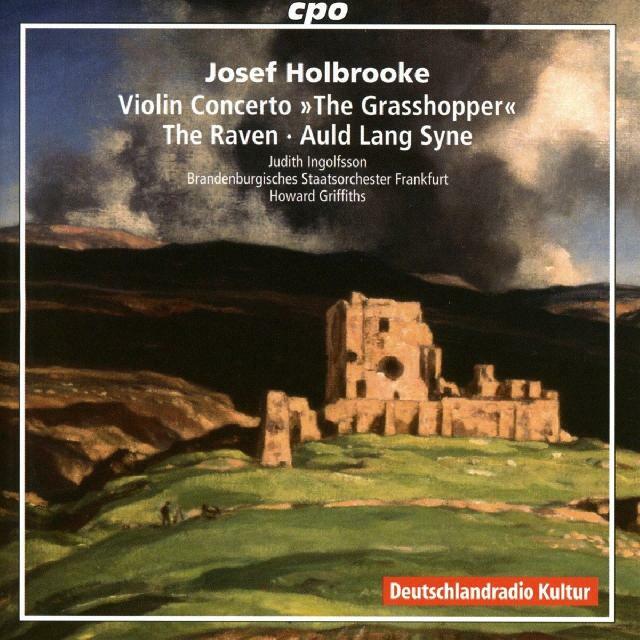 Josef Holbrooke’s music hasn’t fared as well on disc, and less so in the concert hall, than that of his contemporaries, among them Vaughan Williams (both men died in 1958). Regrettably so, if these three characterful works are indicative of his output. More limpidly delicate in approach, Judith Ingolfsson’s account of The Grasshopper Violin Concerto may be less animated than Kerenza Peacock on Naxos, but it’s no less appealing for that, the accompaniment of the Brandenburg State Orchestra, Frankfurt awash with attractive watercolour detailing. Edgar Allan Poe’s The Raven is a symphonic tone poem in the guise of a Film Noir soundtrack. Given a suitably chiaroscuro treatment, its passages of dark mystery and menace are lit up by shards of dancing light and borne unsettlingly along by mounting, suspenseful drama. Refusing gauche sentimentality, the vivid set of 21 variations on Auld Lang Syne is exquisitely done. Deft conducting by Howard Griffiths and excellent, extensive notes by Franz Groborz.